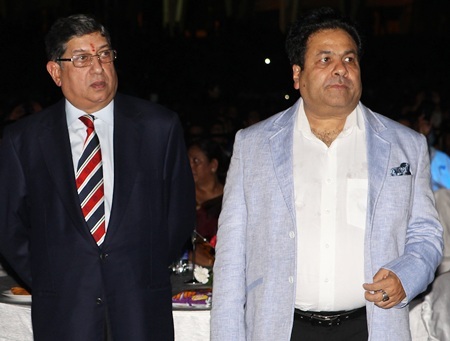 The IPL probe report submitted to the Supreme Court by Justice Mukul Mudgal says BCCI chief N Srinivasan's son-in-law Gurunath Meiyappan’s role in Chennai Super Kings as Team Principal, and allegations of betting and passing of information against him, stand proved. 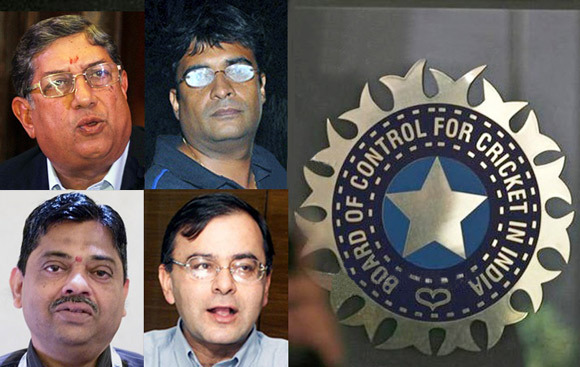 The Mudgal panel has suggested that the BCCI must adopt a "Zero Tolerance Policy" in matters of corruption in the game. A committee, probing alleged corruption in the cash-rich Indian Premier League has said in its report that Board of Control for Cricket in India chief Narayanswami Srinivasan’s son-in-law Gurunath Meiyappan was "the face and team official" of IPL franchise Chennai Super Kings and “the allegations of betting and passing information” against him “stand proved”. In a 200-page document submitted to the Supreme Court Monday, the Justice Mukul Mudgal-headed committee said the allegations of fixing against Meiyappan as well as Rajasthan Royals co-owner Raj Kundra need to be further investigated. The Supreme Court bench, headed by Justice A K Patnaik, upon receiving the report, said it will pass the appropriate order after going through it. "The committee is of the view that the material on record clearly indicates that Meiyappan was the face of CSK and the team official of CSK," said the report. The report, based on the information provided by the Delhi and Mumbai police and comprising FIR and charge-sheet filed by Mumbai police and transcripts of telephonic conversations, said, "Meiyappan was indulging in betting through Vindoo Dara Singh who was in direct touch with the bookies and punters like Mr. Vikram Aggarwal. 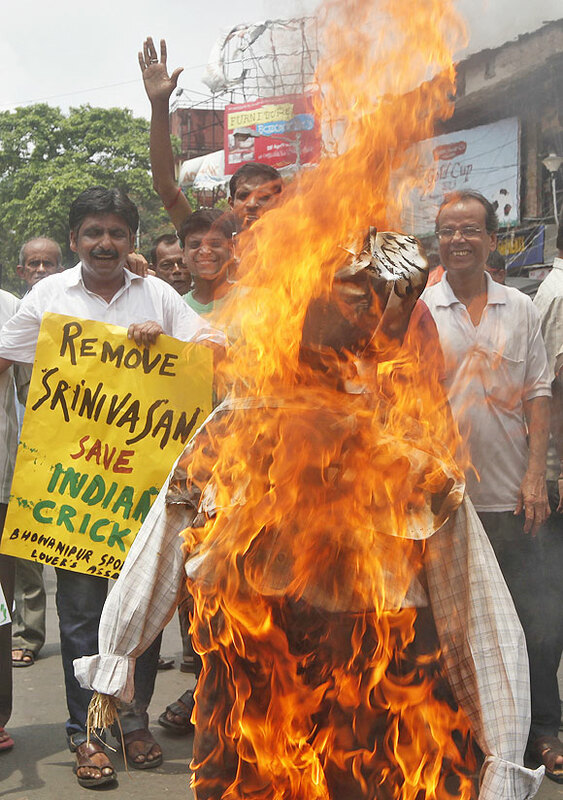 "Bets placed by Mr. Meiyappan inter alia were not only in favour of CSK but also against it. Meiyappan also bet on teams in matches of teams other than CSK. "The role of Gurunath Meiyappan in Chennai Super Kings (CSK) as the team official stands proved and the allegations of betting and passing of information against Meiyappan stand proved." the report said. "However, the allegations of fixing requires further investigation," added the committee, also comprising Additional Solicitor General N Nageshwar Rao and Assam Cricket Association member Nilay Dutta. The committee's report came two days ahead of the IPL auction in Bangalore for the seventh edition of the tournament, and raised questions on the status of Chennai Super Kings, as Meiyappan was the Team Principal, though Srinivasan claimed he was only a cricket enthusiast. The team may attract provisions of the termination clause under the Franchise Agreement which says that any franchisee, franchisee group company and/or any owner acts in any way that has adverse affect on the reputation of the League, BCCI/IPL, BCCI and the game of cricket. "The committee is of the view that the material on record clearly indicates that Meiyappan was the face of CSK and the team official of CSK," the report said, while rejecting Srinivasan's contention that his son-in-law was merely a cricket enthusiast. The committee, which was asked to give a report, was appointed by a bench of Justices A K Patnaik and J S Kehar to probe allegations of betting and spot-fixing against Meiyappan and owners of Rajasthan Royals. The report also dealt with the allegations of betting and spot-fixing against Rajashthan Royals' Raj Kundra and said it needs to be further investigated. The court was hearing cross appeals filed by the BCCI and the Cricket Association of Bihar challenging the Bombay high court's order which had declared the BCCI's probe panel in the scandal as illegal. The three-member committee also stated that after perusing the information provided by Delhi and Chennai police, FIR and charge-sheet filed by Mumbai police, transcript of telephonic conversation, conclusions emerge that Meiyappan indulged in betting through Vindoo Dara Singh, who was in direct touch with the bookies and punters like Vikram Aggarwal. "Bets were placed by Meiyappan inter alia were not only in favour of CSK but also against it. In betting parlance, betting for and against a team is called hedging bet," the report said, adding that "Meiyappan also bet in matches of teams other then CSK". "In so far as the roles of Meiyappan and Vindoo Dara Singh are concerned, our conclusions are based on the testimony of the police and charge-sheet and are not meant in any manner to pronounce on the issue as to whether Meiyappan and Singh are guilty of the offences charged with, which issue is entirely under the domain of the criminal court." The Committee said it based its conclusions only on the objective facts gathered during the course of its probe and contents of the chargesheet and other documents produced by the investigating agency. 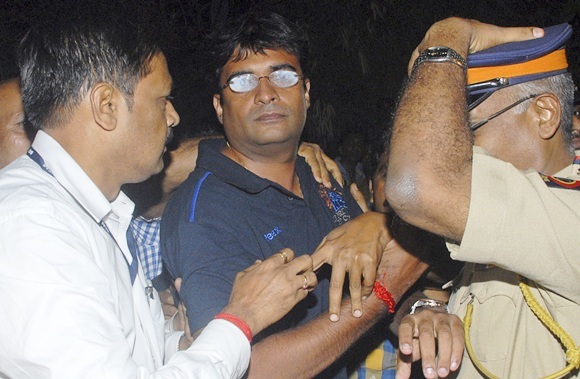 While maintaining that further investigation is needed on allegation of betting and spot fixing against Raj Kundra, the report said "in so far as the role of Kundra is concerned, the fact that he resorted to betting through Umesh Goenka in the IPL matches is evident from the statement of Mr Umesh Goenka under section 164 of CrPC recorded by the Delhi court. "We are clearly of the view that the statements under section 164 of CrPC made by Goenka clearly required further and serious investigation, as Raj Kundra and his wife Shilpa Shetty are part owners of the Rajasthan Royals." Allegations of betting by Kundra and Shetty, who are part owners of Rajasthan Royals, if proved, "could constitute serious infraction of section 2.2.1 and 2.14 of IPL operational rules for bringing the game into disrepute, articles 2.2.1, 2.2.2 and 2.2.3 of the IPL anti corruption code for Acts of betting and articles 2.4.4 of IPL code of conduct for players and team officials, for bringing disrepute to the game of cricket," the report said. The Supreme Court had, in August last year, heard the petition filed by Aditya Verma, secretary, CAB, challenging the high court's order refusing to appoint a fresh committee to probe the scam. The Cricket Association of Bihar had pleaded that when the high court declared the panel of two judges as unconstitutional, it should have appointed a fresh committee to look into the issue. The panel was set up by BCCI and the IPL Governing Council after the surfacing of the betting and fixing scandal and it had gone into the charges against India Cements Ltd, Meiyappan and Raj Kundra, co-owner of Rajasthan Royals.